Published by George Allen and Unwin in 1965, these books are later impressions of the 1st UK Edition, originally published in 1954/1954/1955 respectively. 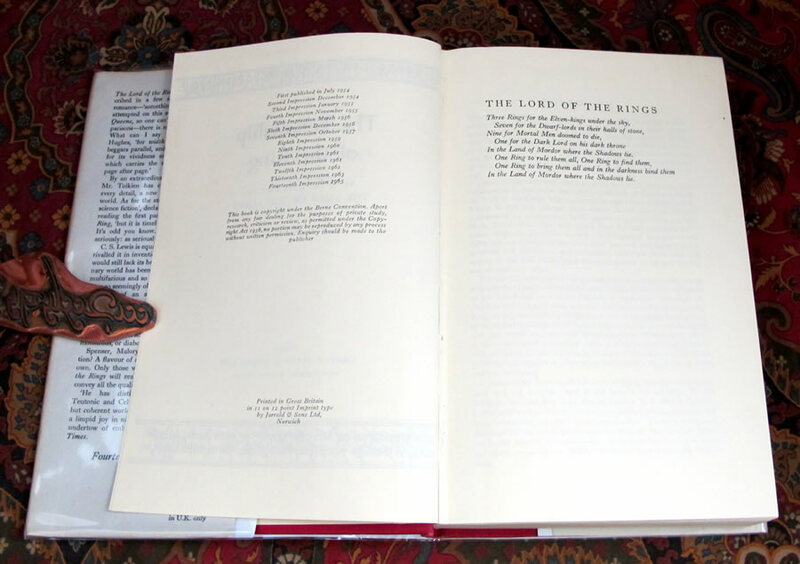 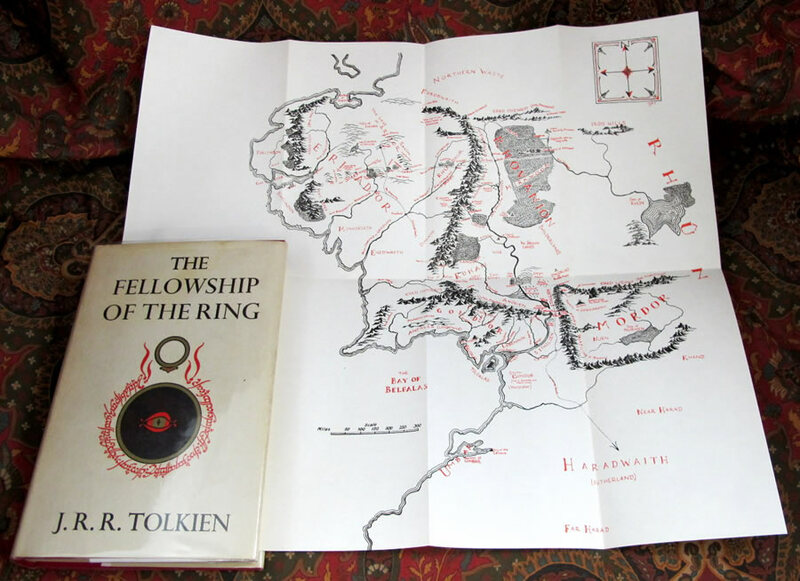 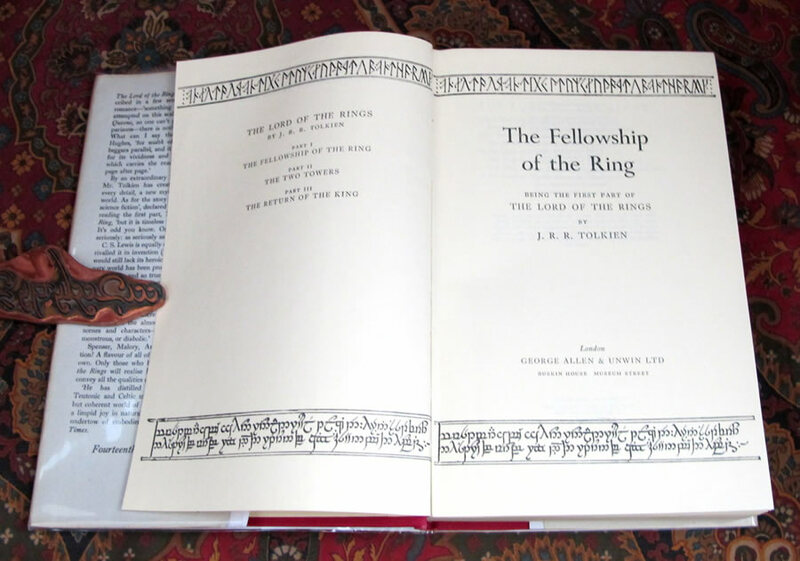 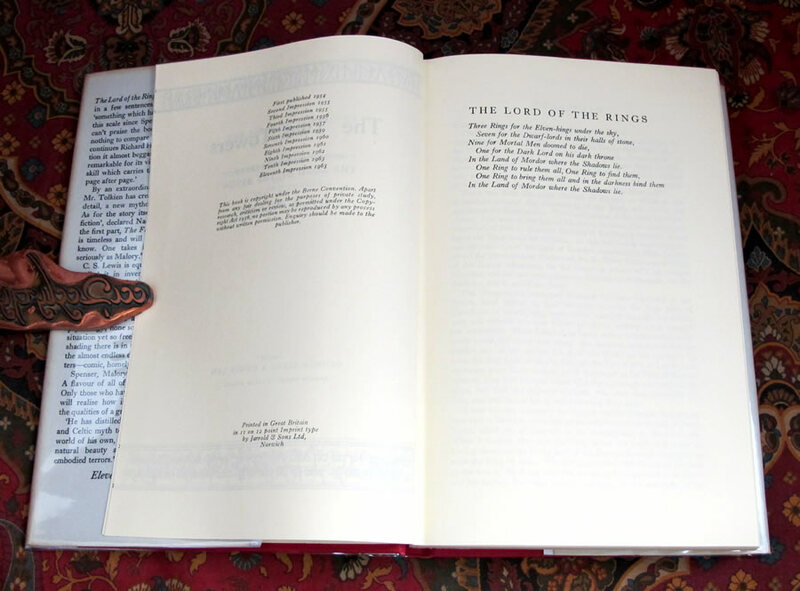 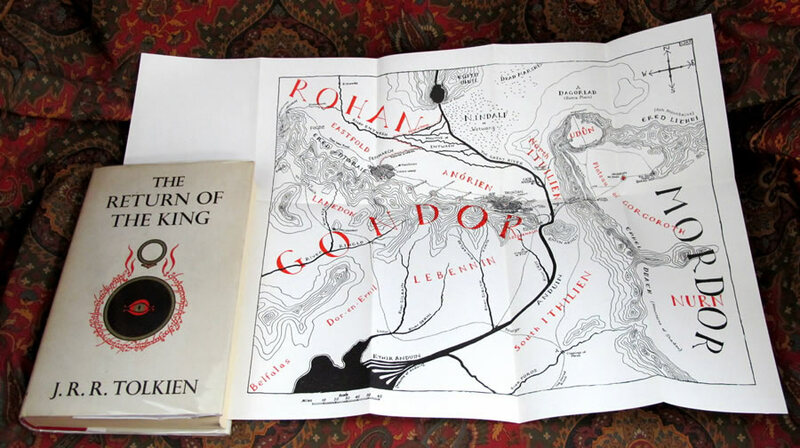 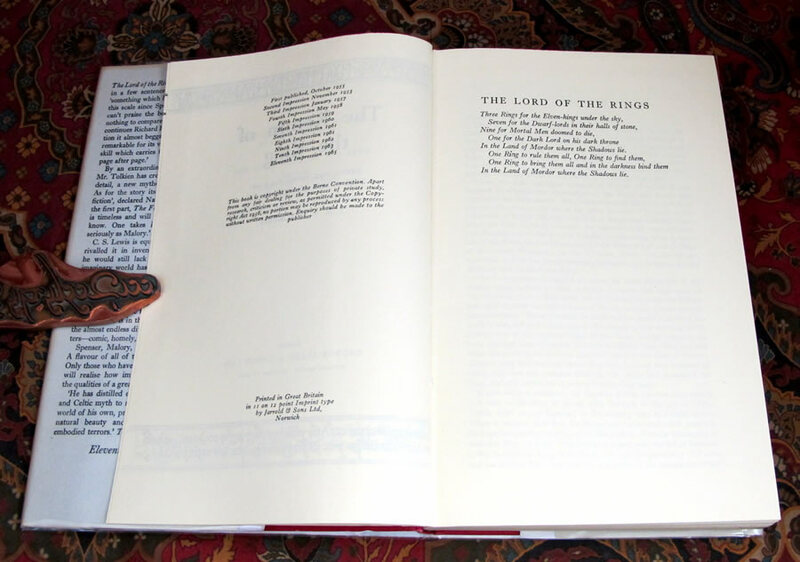 The Fellowship of the Rings is a 14th impression published in 1965. 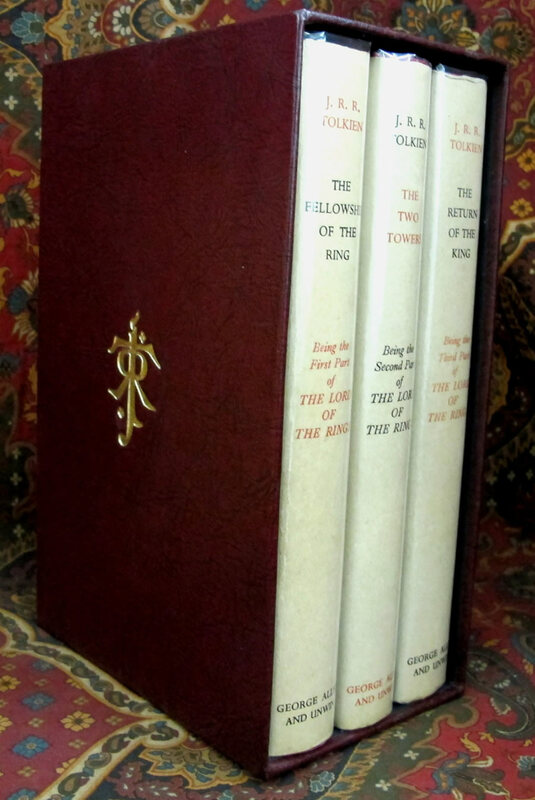 The Two Towers is a 11th impression published in 1965. 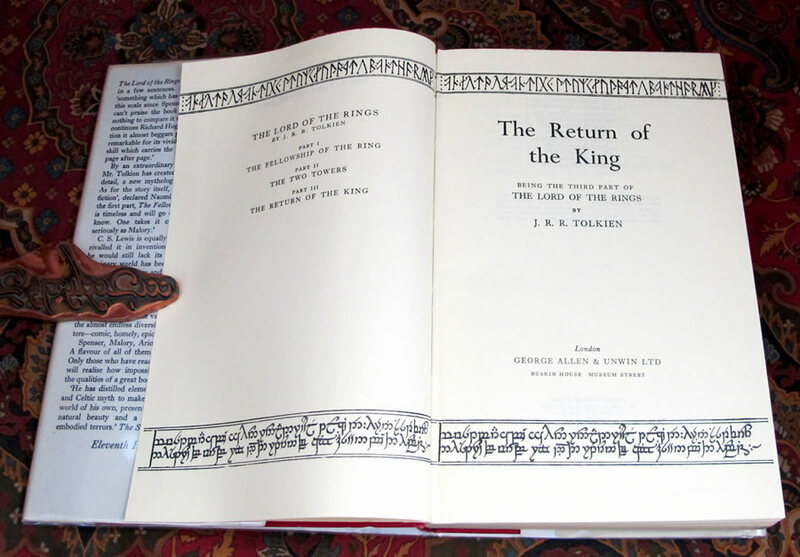 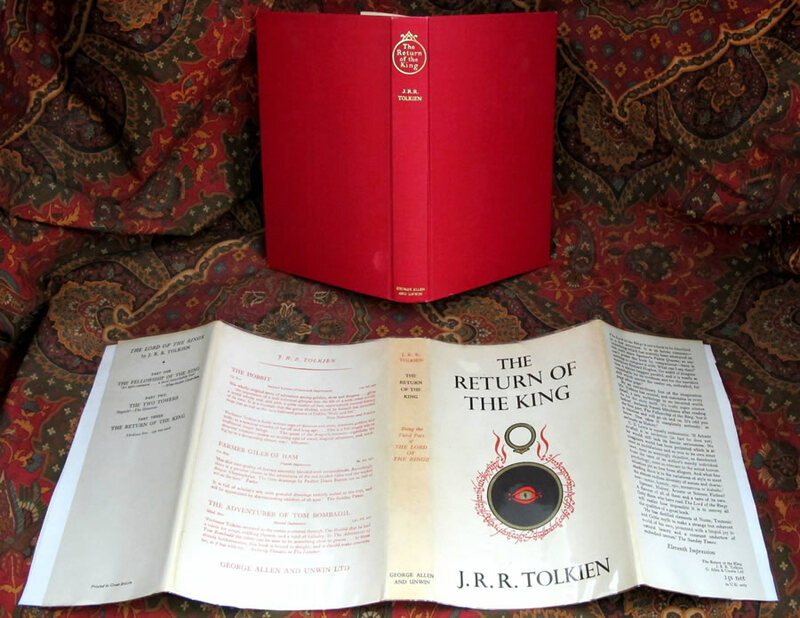 The Return of the King is an 11th impression published in 1965. 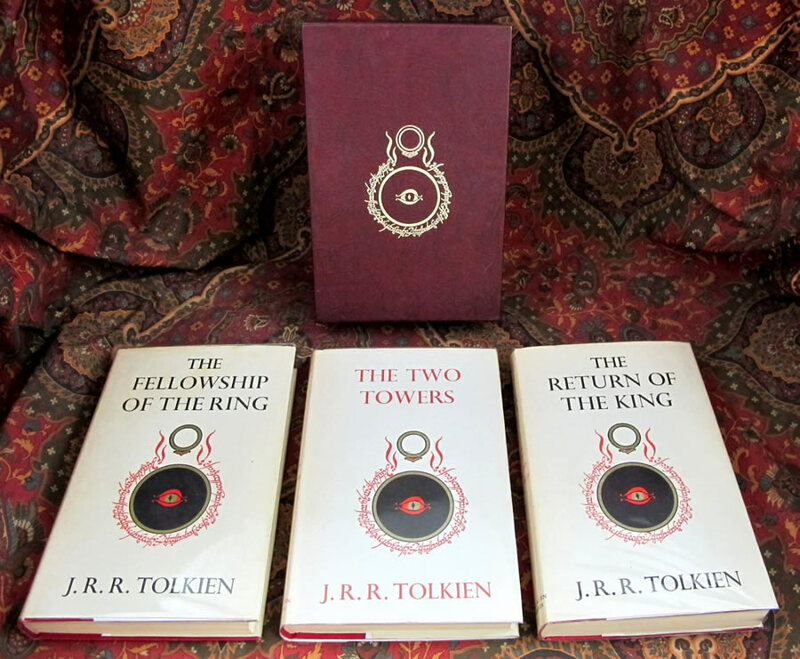 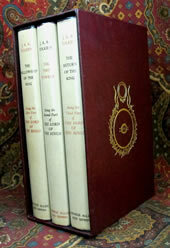 All three books have their correct impression, non price clipped original dustjackets, in Near Fine condition showing some light rubbing and a tiny bit of tanning to the spine with no loss to the edges or fold areas. 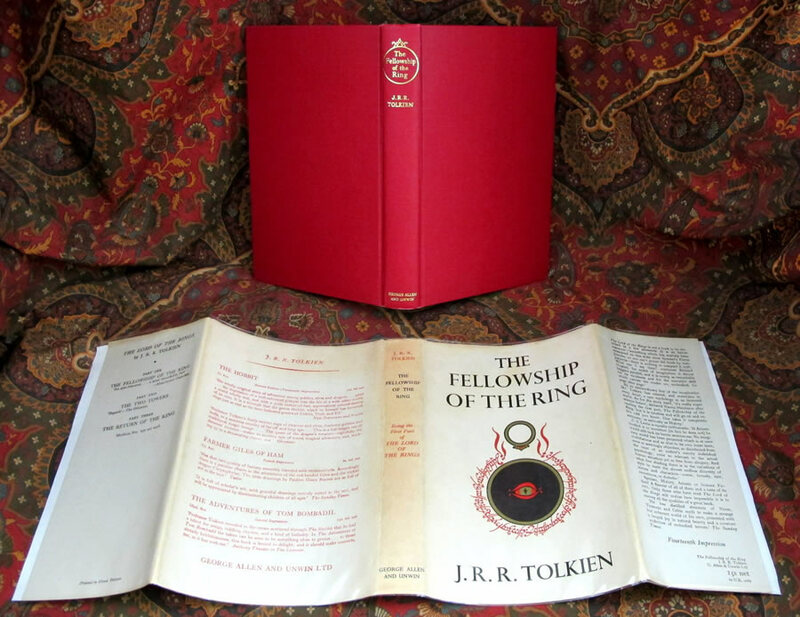 The books are in Near Fine condition with no offsetting or foxing, no previous owners names or markings in any of the books. The gilt to all three books clean and bright, with one spot to the rear cloth of the Return, (looks like a damp thumb print). 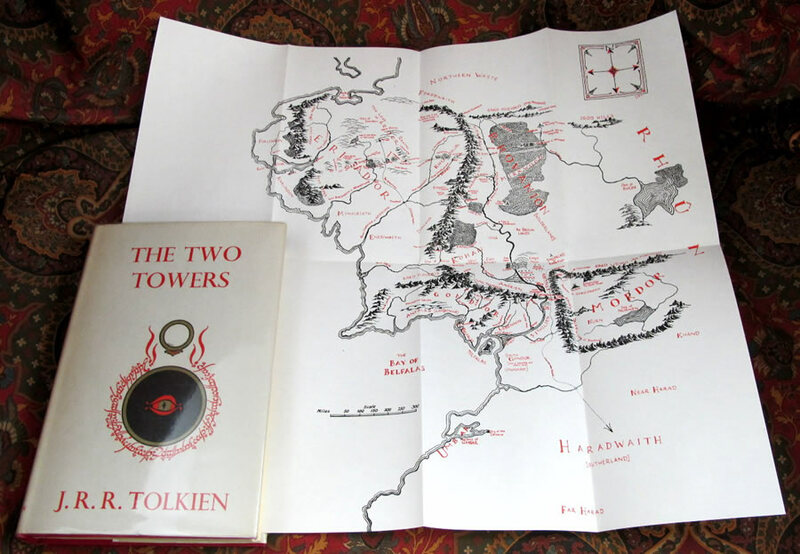 Each book has its own original foldout map tipped in at the rear, and all are in excellent condition with no tears or extra folds noted. 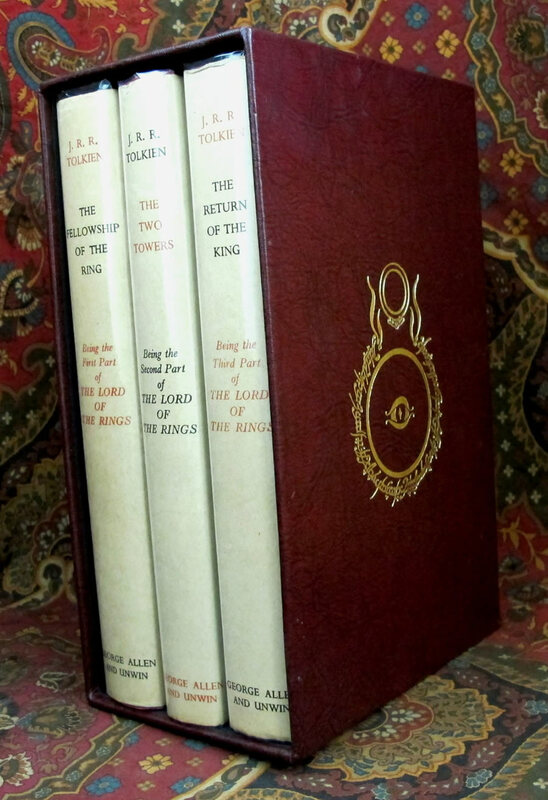 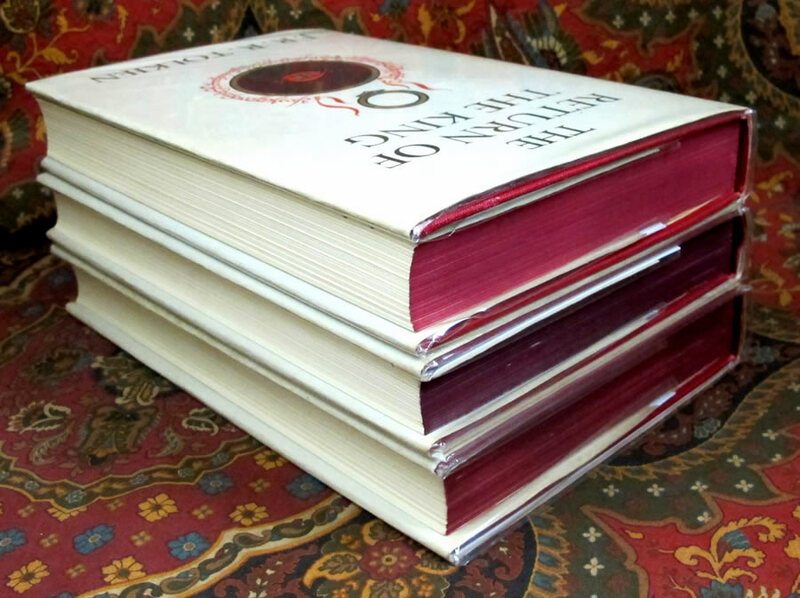 A custom faux leather slipcase to house and protect this wonderful set of books.